Rowan MacKey in an aspiring journalist and broadcaster. He's still 23 years of age and lives in South Geelong, Victoria, Australia. He went to University of Canberra, one of Australia's top universities for getting a job. As Rowan was starting his adventure outside of school, he was curious about the things that he has been seeing in society. Having a lot of questions about people doing and pursuing their professions that they don't even like or enjoy, he then thought of something that might help him an answer and solution to it. 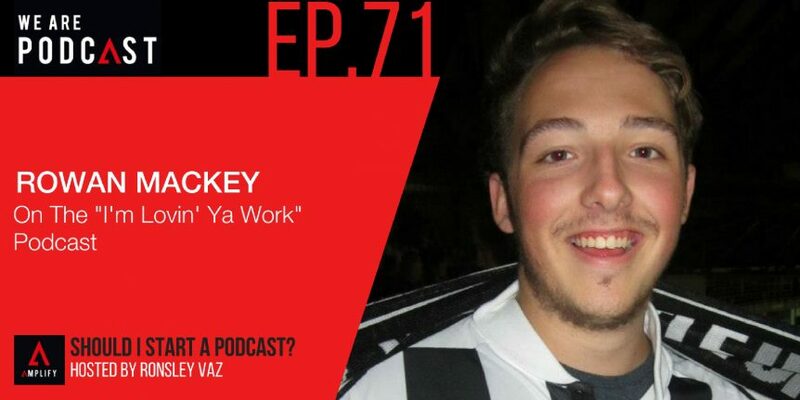 He started podcasting and having guests to chat with about what they wanted to be when they were little kid, and might see how this relates to their actual professional pathway. Rowan wanted to get an insight to some of the tangibles how how people ended up where they are as well as few observations on their chosen industry. ‘I think it comes from being open about your successes and failures. Being open about how you think. We need to be honest and open because sometimes when someone's asking you how things are going, they genuinely want to know.